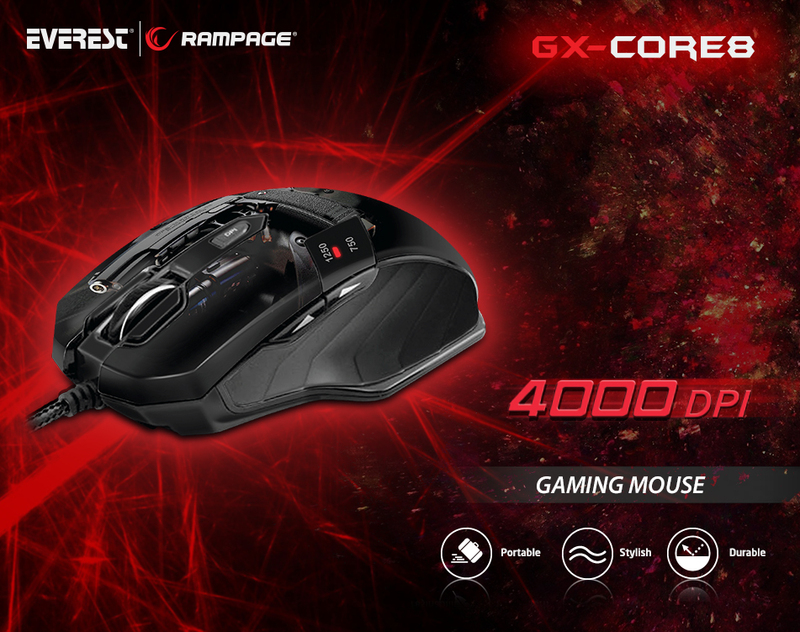 Everest Rampage GX-Core8 USB Guns Gaming Mouse; It uses a powerful 4000 DPI laser sensor. Its special design provides ease of use and excellent grip. 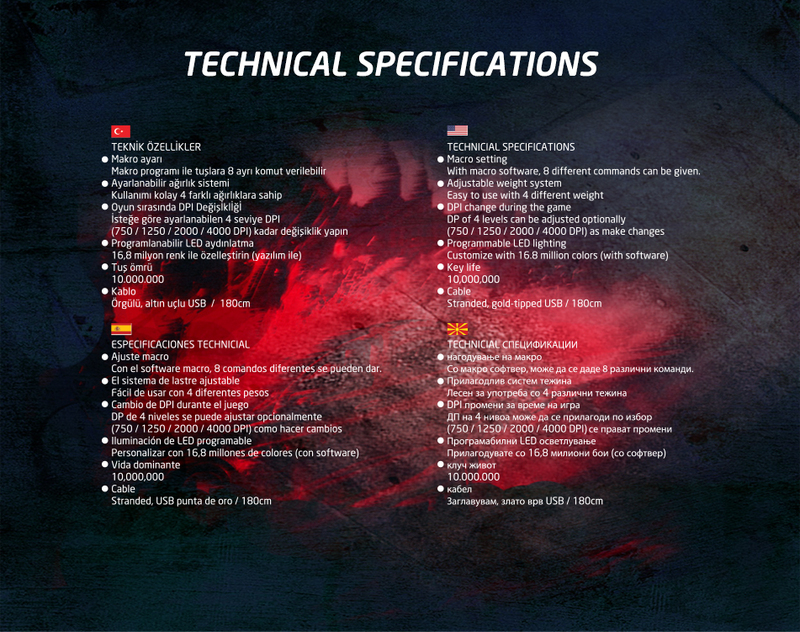 The special design makes the GX-CORE8 different from other gaming mouses. 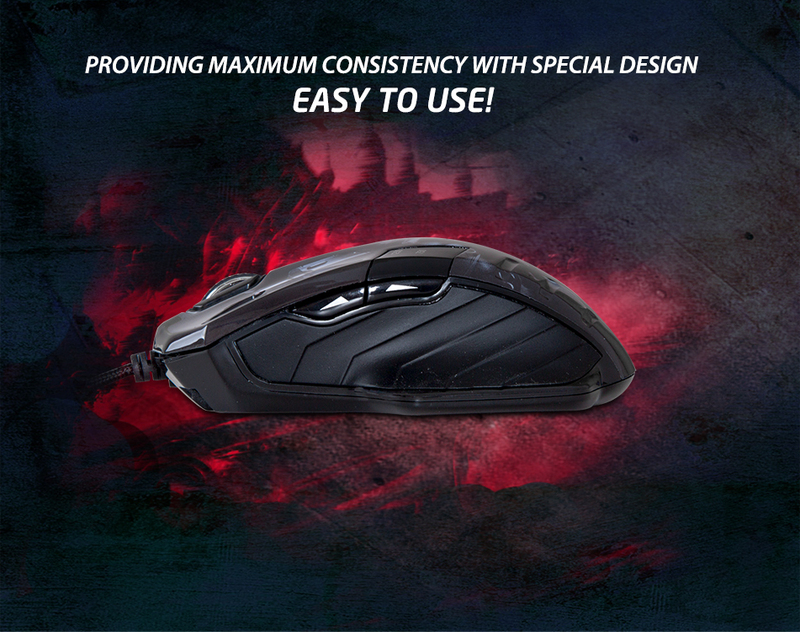 Everest Rampage GX-Core8 USB Guns Gaming Mouse; Enjoy playing games with the Everest GX-CORE8, which is made by quality materials with its soft touch structure and unique design! 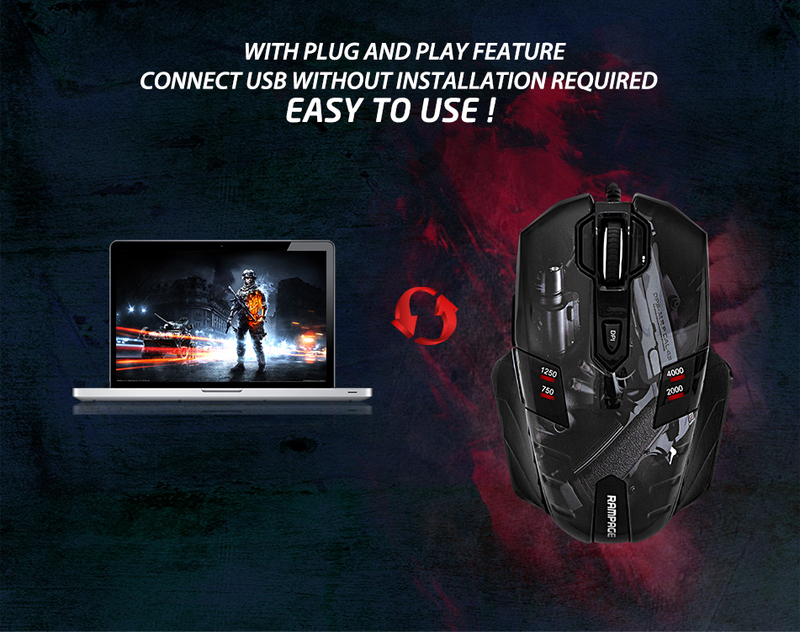 With 4 step of DPI setting, you can easily perform your operations. 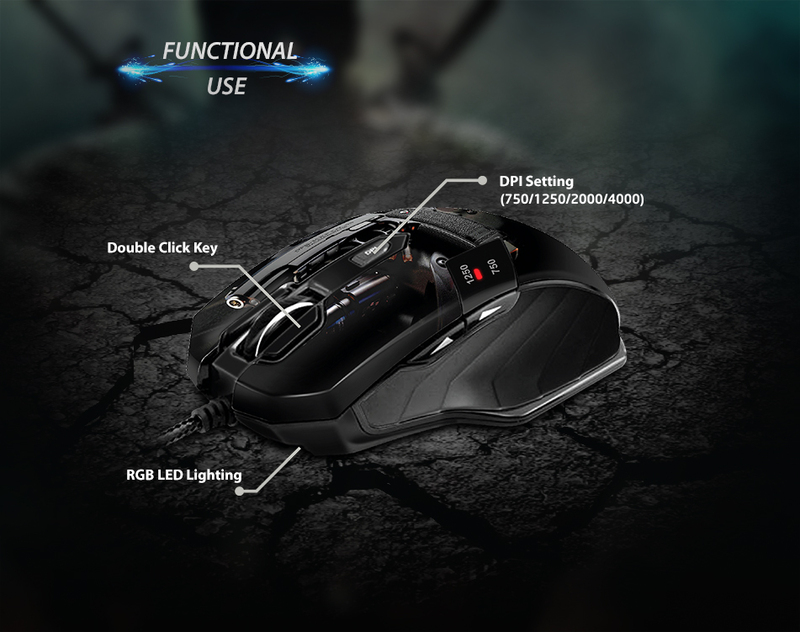 Everest Rampage GX-Core8 USB Guns Gaming Mouse; The Scroll Key on it, DPI function key and forward-back function keys give you easy operation. With these buttons, you will be able to make your operations faster and easier. Everest GX-CORE8 Designed to be comfortable, durable and intricate with its soft-touch structure. 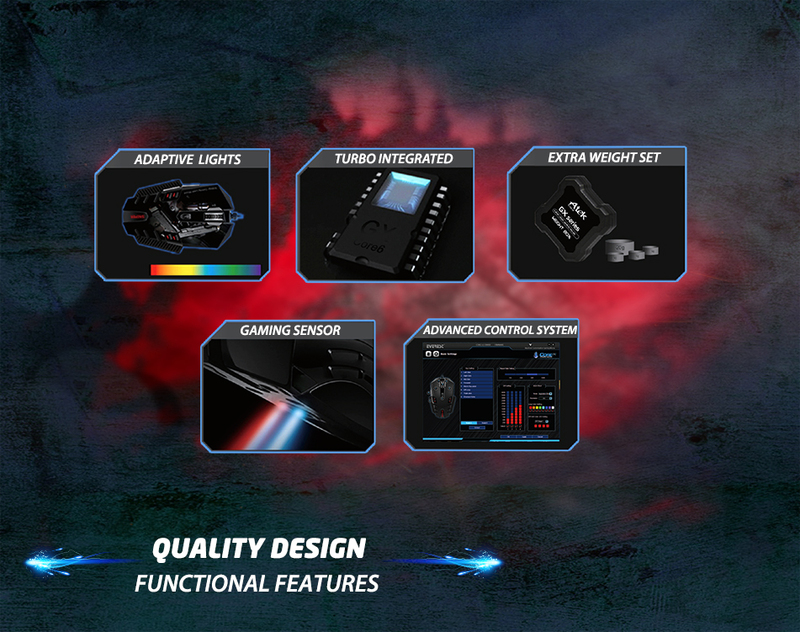 Everest Rampage GX-Core8 USB Guns Gaming Mouse; The GX-CORE8 will be indispensable with its distinctive features and quality structure! 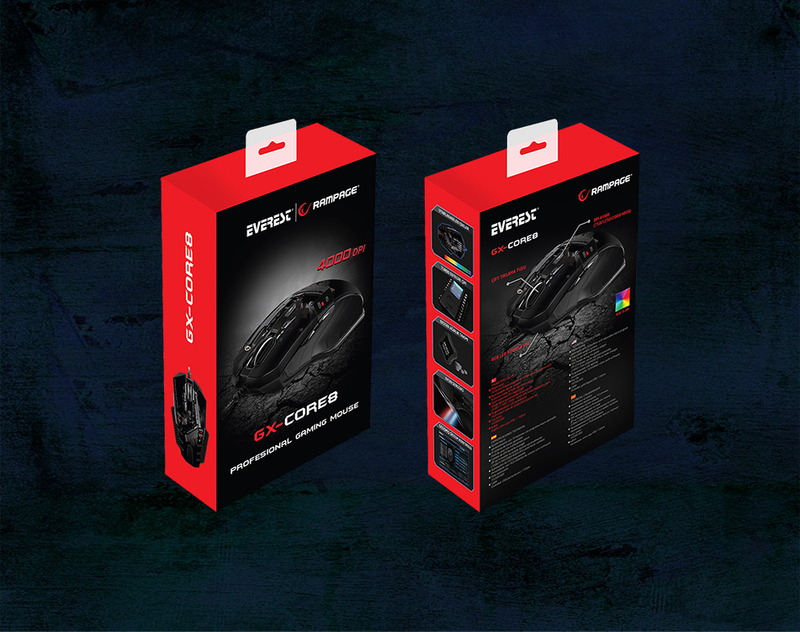 Everest Rampage GX-Core8 USB Guns Gaming Mouse; Designed to fit perfectly into your hand, the GX-CORE8 provides you with a smooth handling experience. 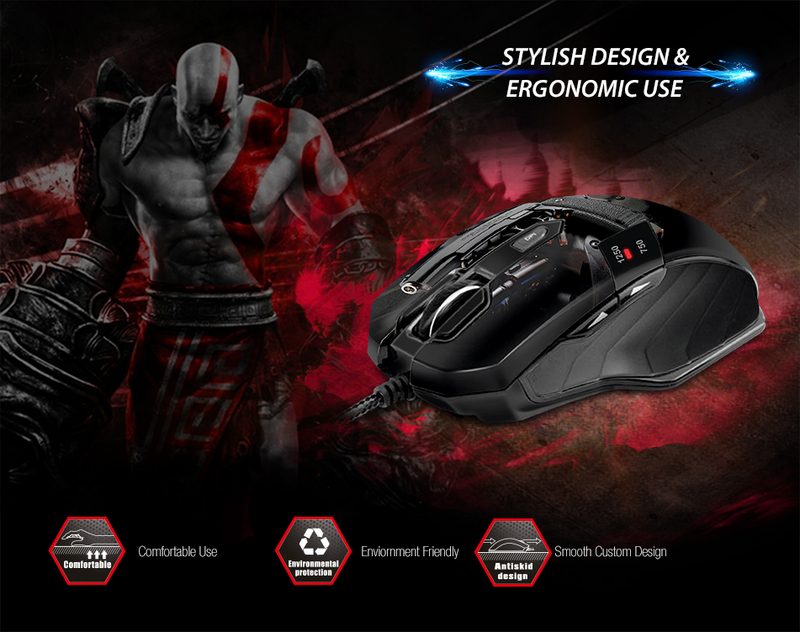 Provides maximum grip through to curves and a special design on the side surface and prevents your mouse from slipping out of your hand during playing games. Everest Rampage GX-Core8 USB Guns Gaming Mouse; You can easily and effortlessly use it without wasting time through to the plug-and-play feature.